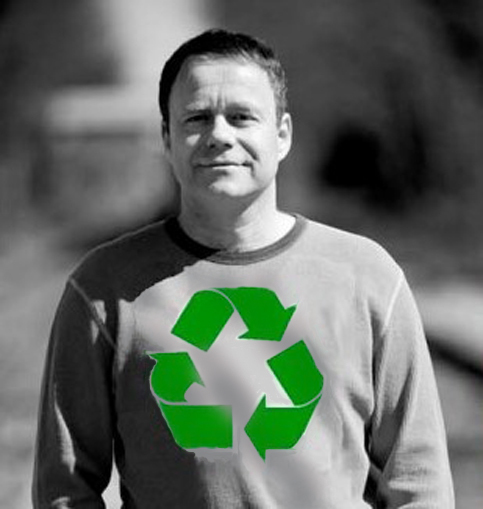 MOCO Outstanding Artist Erwin Timmers Saves The Day! Mark Your Calendars! Next Monday – October 29, 2018, @ 7:00 pm, Maryland’s Montgomery County will honor Washington Glass School’s Erwin Timmers as MOCO’s Outstanding Artist. The County Executive’s Awards for Excellence in the Arts & Humanities are the most prestigious honors conferred by Montgomery County on individual artists, scholars, organizations and cultural patrons. Registration to the event is Free and Open to All – CLICK HERE. 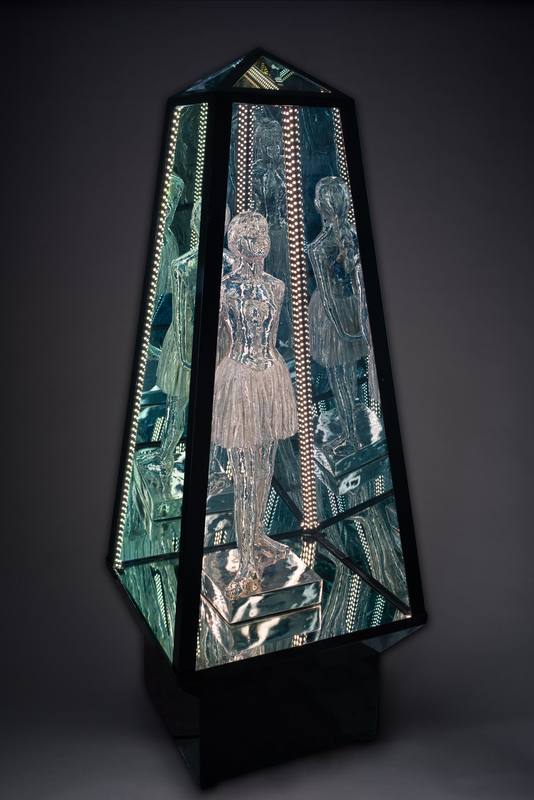 With a gallery opening that works well with the Chicago SOFA audience, Illinois Wesleyan University’s Ames School of Art will feature the work of glass artists Lindy Ihrman and Leslie Speicher. On Thursday, Nov. 1 at 1:30 p.m., Ihrman and Speicher will visit Illinois Wesleyan for a reception and artist talk on their exhibit “Strata,” which uses kiln-formed glass to create a sense of narrative through imagery and juxtaposition. 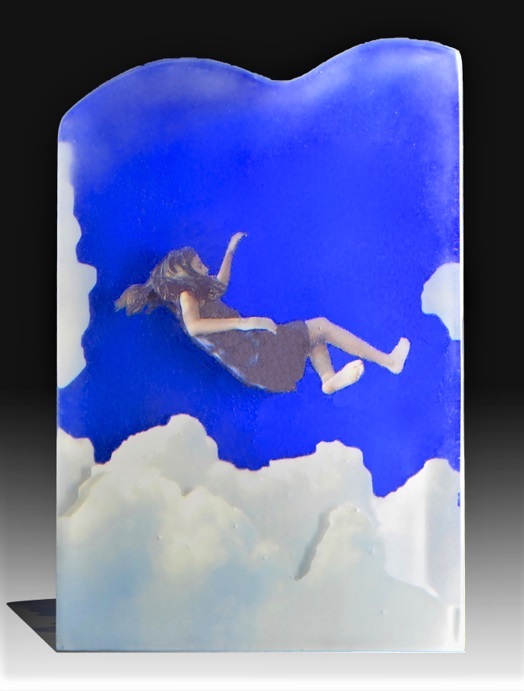 Lindy Ihrman, ” Transcend”, digital photography, enamel and kiln cast glass; 15 x 9 x 2½ inches. 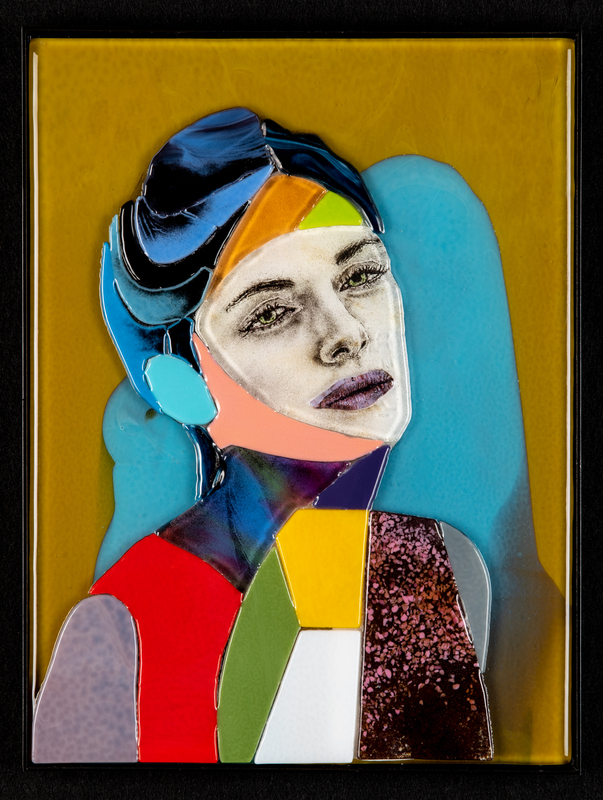 Chicago-based glass artist Leslie Speicher is notable for her distinct emphasis on color, form and texture when handcrafting her pieces. She also runs her own art studio, Chicago Glass Collective, which offers workshops, lectures and studio space for both beginning and experienced artists to improve their skills within a community. 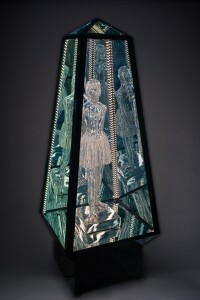 Prior to opening her studio in 2012, Speicher taught 3D Design at the University of Miami and glassmaking at the Cleveland Institute of Art. Speicher’s work in this exhibit focuses on the function as well as the perception of networks grids and boundaries in everyday life. Using her hometown of Chicago as the basis of her series, she examines the system of gerrymandering (the practice of manipulating the boundaries of an area) by creating transparent layered glass maps and graphs made with fused glass and stringers. Her panels strive to examine and dissect they systems that distort and affect the concept of “one person, one vote”.